Online directories are sites that scrape the Internet looking for businesses’ information – at a minimum they’ll include a company’s name, address and phone number (NAP) — to pull into their master database of businesses. Just some examples of online directories include Yelp, Merchant Circle, Citysearch, Google My Business and YP.com. You will often hear online business directories referred to as ‘citations’ or ‘citation sites.’ ‘Citations’ are essentially any place where a business’ Name, Address and Phone Number (NAP) information appears on a site – many of these ‘citation’ sites are online business directories but it could also be a site that happens to list a business’ contact info in a blog post, for example. What Are Online Directories and Why Are They Important for Local SEO? Online Business Directories are websites that scrape the Internet looking for information about local businesses. Their goal? To gather as much relevant and accurate information as they can about local businesses so they become a reliable source to Google, Bing, Yahoo! and other search engines. Big online directories like Google My Business, Bing Places for Business, Yelp and Citysearch reap the benefits of their hunting and gathering efforts by showing up towards the top on local business searches. Online directories also allow you to get a backlink to your website from a trustworthy site. In a day when backlinks are still important to the search engines as a ranking factor, it lends to your business’ credibility when you’re accurately linked to on the top online directories. Your Customers Are Searching for You Online – Can Your Business Be Found? For instance, according to Search Engine Journal, signals within a business’ GMB page is among the top search engine ranking factors. 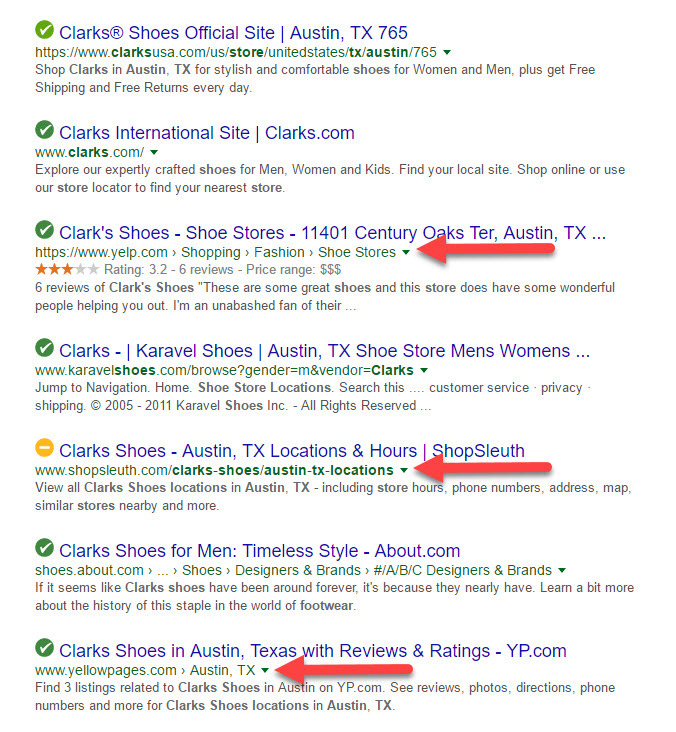 These signals include online reviews, pictures and having the page Owner Verified (this means the business owner took the time to verify and/or correct the information Google had listed about their business.) One of the most popular ranking factors is having a keyword in the Google My Business page’s business name – which can help you rank at least 1.5 spots higher with just this factor alone. The popular SEO site, Moz.com has also shown that Google My Business Signals and Citation information, such as a business’ NAP information, also impacts search engine results. It’s important to note that there are literally THOUSANDS of online business directories out there – and many niche directories as well. Many of the directories out there are (pardon my frankness) crap and getting listed on those directories can actually hurt your rankings. I recommend that you download Moz’s MozBar so that you can see the quality of the directories you’re thinking about getting your business listed on. 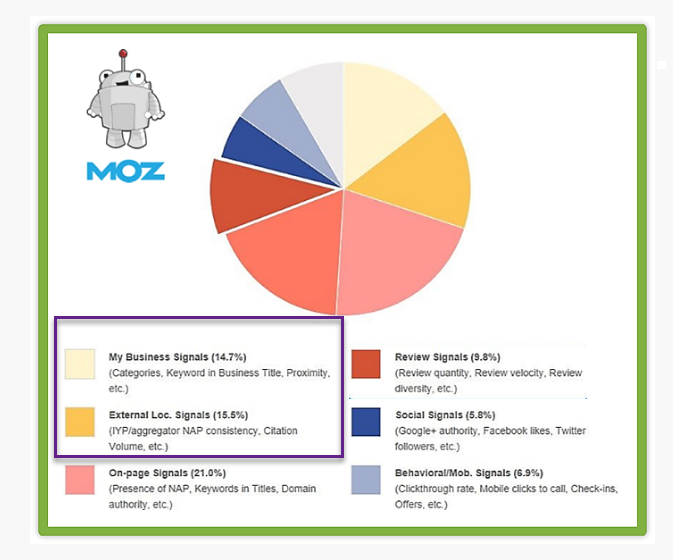 You have to sign up for a free Moz account in order to see the metrics, but it’s well worth it. 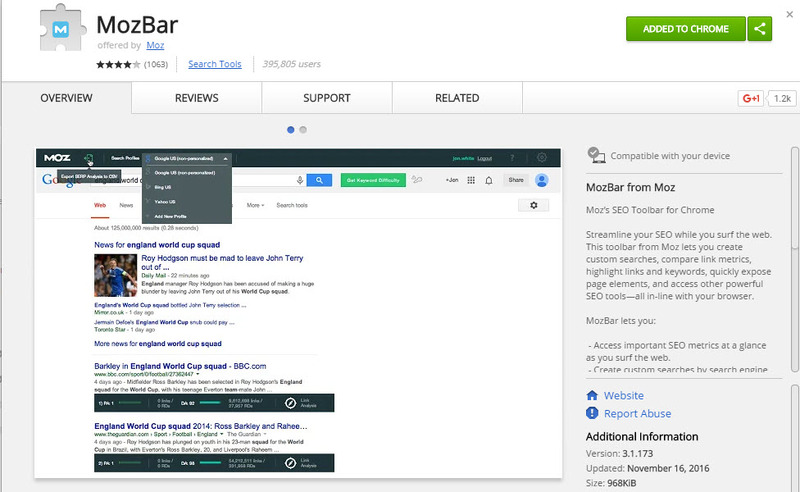 After you install the MozBar Chrome extension you can then easily see some site/directory quality scores. Home Advisor, for instance, has a Page Authority of 56 and a Domain Authority of 81. Based on those high numbers it’s pretty safe to assume that it’s a quality online business directory – and it’s one you should probably get your business listed on if you’re in the home improvement market. 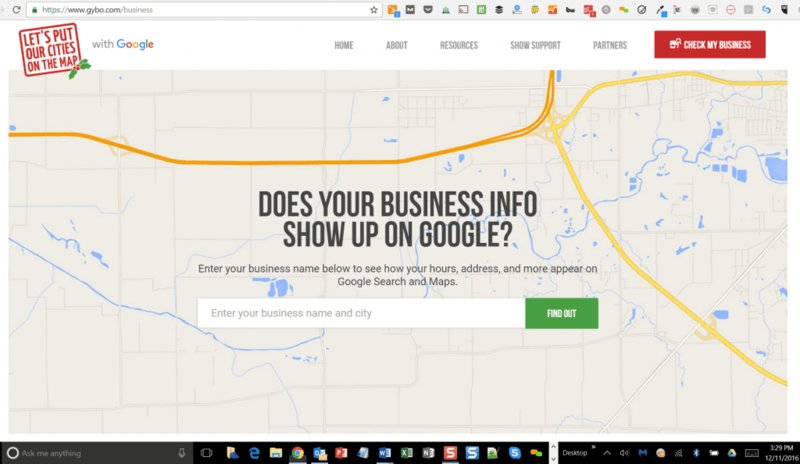 If you want to see the places where your business’ name, address and phone number are listed, you may also want to check out N.A.P. Hunter! from Local SEO Guide. N.A.P Hunter! is a Chrome extension that shows you the online directories that a business is listed on. It performs searches for various combinations of a business’ name, address and phone number to give you a good look at a business’ citation profile — and you can even download the file to .csv. So Where Do You Start With Online Business Directories? The very first directories you’re going to want to claim are Google My Business and Bing Places for Business. These are two FREE business listings you can get from the two largest search engines. Don’t pass these up! The next thing you need to do is search for and verify that your business is listed accurately on the top 150+ online business directories. Vendasta has provided a great (and relatively current) list of their picks for the top 100 online business directories, but there are other compiled top online business directory lists out there as well that show a variety of other online directories you should check out, too. Again, if you’re ever in doubt as to whether an online directory is credible or a scam, turn to MozBar and check out their quality data. If searching for the best online directories, then searching each directory individually to see if your business is listed and then claiming/optimizing/fixing your business listings seems like a time consuming and tedious process – it is! I wish I could tell you there’s a little Online Directory Fairy Godmother who can do all this work for you, but I don’t believe in fairy tales. However, the next best thing IS available: businesses that WILL go out and do all the legwork for you. BrightLocal, Moz Local, Whitespark and others offer citation claiming and listing services. BrightLocal recently compared the pros and cons of the top listing citation services, so be sure to check that out. There are also online data aggregators that have agreements with a large volume of online directories and when you sign up with an aggregator they will “push” all of your information out to hundreds of online business directories at once. So should you manually claim directories? Use aggregators? Or do a combination of both? Check out this great article that tells you which is the best approach. The bottom line is as a business – or an online agency that provides digital marketing services for local businesses – claiming and verifying online business directories is one of the easiest – and fastest – ways to get an SEO bump. Don’t ignore citation sites – use them to push your business’ info out to the masses. Good luck! Sherry Bonelli is the Local Search Evangelist at BrightLocal. She leads BrightLocal’s Research & Content programs and champions the needs of their SEO Agency and SMB customers. Having worked in digital marketing since 1998, Sherry has a Master’s Degree in Internet Marketing along with numerous digital marketing certifications. In her “spare” time she is a volunteer mentor for the SCORE East Central Iowa Chapter where she coaches small businesses on how to use digital marketing effectively. Sherry frequently gives workshops and speeches on digital marketing topics to local business owners. She can be reached via email at sherry@brightlocal.com. To find out more information about BrightLocal, visit www.brightlocal.com.